Earnings calls are typically a pretty dull affair in which analysts get to ask questions about the company's business and performance. But not for Elon Musk. 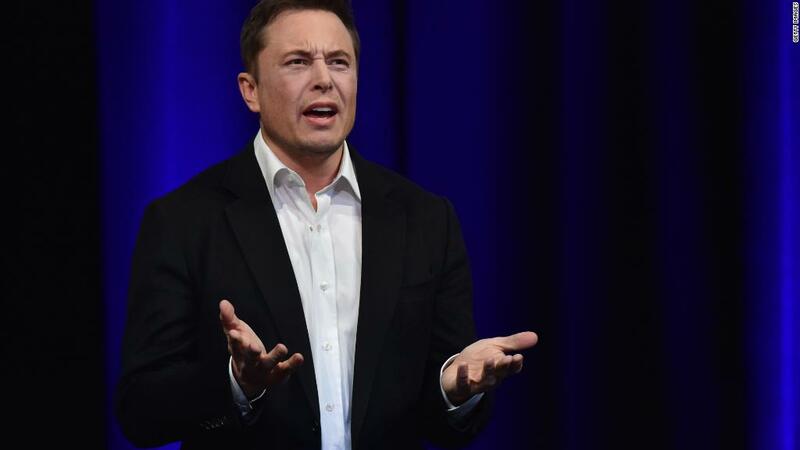 The CEO of Tesla (TSLA) hosted the company's latest earnings call Wednesday in which he brushed analysts off, told them their questions were boring, and spent a significant amount of time fielding questions from a guy with a YouTube channel. Musk is known for his quirks, but investors appeared to be put off. Tesla shares were down nearly 5% during after-hours trading, despite posting better-than-expected earnings results. Here are the five strangest moments from the call. Part way through the Q&A session, an analyst from Bernstein was in a back-and-forth with Deepak Ahuja, Tesla's chief financial officer, about capital expenditures. "Excuse me. Next. Boring, bonehead questions are not cool. Next?" he said. After the awkward dressing down of one analyst, Musk quickly shut down the next guy. An analyst from RBC Capital Markets posed a question about reservations for the Model 3, Tesla's first mass-market car that's proven wildly popular but has been plagued by production issues. But after a long pause, Musk refused to answer. "We're gonna go to YouTube. Sorry. These questions are so dry. They're killing me," he said. What exactly Musk meant by "go to YouTube" wasn't at all clear. But then the floor was given to Galileo Russell, host of the "HyperChange TV" YouTube channel, which has more than 9,000 subscribers. Russell's videos include one titled "Why I Bought Tesla Today At $255/Share." On Tuesday, he posted a video titled: "Crowdsourcing A Question For The Tesla Earnings Call!" A few days earlier, Russell tweeted at Musk, asking him to "give retail investors a voice." Musk responded, "Ok."
Egged on by Musk, Russell asked about a dozen questions on Wednesday's call. His conversation with Musk and the other Tesla executives lasted more than 20 minutes. — Tesla's self-driving ride-sharing efforts. Musk said Tesla is "well positioned" to have "millions, really tens of millions" of shared autonomous electric vehicles on the road. When it'll come on the market depends on regulatory approval. But Musk says the tech will be fully developed "by end of next year." — The Model Y. Musk said he expects production of Tesla's yet-to-be-unveiled crossover Model Y to begin in "early 2020" and it won't be built in the Fremont factory. "Thanks for the great questions," Musk said at the end of their exchange. Musk appeared annoyed by analysts' "boring" questions on Wednesday. 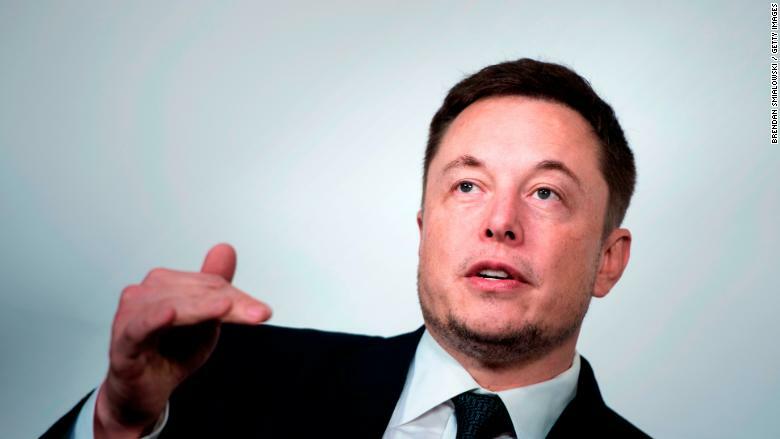 Musk has gone on similar tirades about the press in the past, and on Wednesday he admonished journalists who have covered Tesla crashes in which the vehicle had the Autopilot feature engaged. "It's really incredibly irresponsible of any journalists with integrity to write an article that would lead people to believe that autonomy is less safe," Musk said, according to a rough transcript of the call. "Because people might actually turn it off, and then die." Tesla's Autopilot feature is not fully autonomous. It handles some driving functions, but not all, and drivers are expected to stay engaged when the feature is activated. A government report from January 2017, which has been widely criticized, found that Autopilot reduced crash rates for Tesla by 40%. Russel, the YouTuber, asked why Musk would want to allow other car brands to use Tesla's Supercharger stations, which the company has installed all over the country. "I'm just wondering why that isn't a moat," he said, according to the rough transcript. "The charging infrastructure you guys have built would take years and millions of dollars for another brand to replicate, so I'm just curious about the strategic thinking behind opening that up versus keeping it closed." Musk responded, "I think moats are lame." "If your only defense against invading armies is a moat, you will not last long," he said. Correction: A previous version of this article misidentified the YouTube channel Galileo Russell hosts.